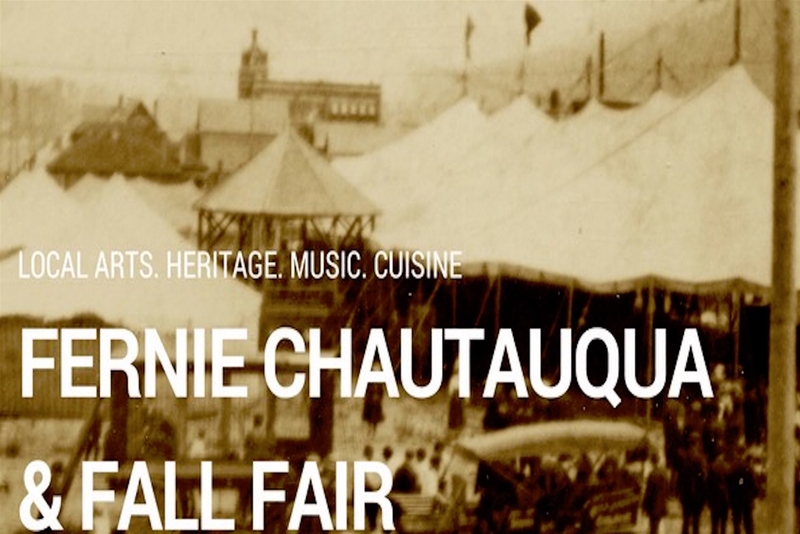 From September 13th to 16th the Fernie Museum is hosting the Fernie Chautauqua and Fall Fair. Historically, the Dominion Chautauqua was a travelling institution that visited Fernie each June from 1917 to 1935 to hold a 4 to 6 day festival of musical numbers, lectures, dramatic productions and magic or puppet shows. The Fernie Museum, the Fernie Art Station, Wildsight, and the Fernie Chamber of Commerce is resurrecting this historic festival to celebrate our local arts, music, history and cuisine. The event will feature musical entertainment, an artisan market, gallery walks, a fall fair and much more. 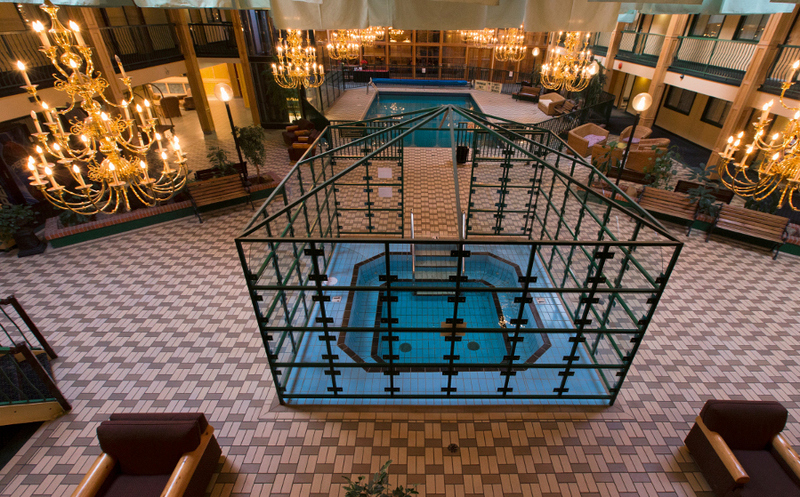 You can also book by calling toll-free 1-888-381-7275 and indicate your are visiting for the Fernie Chautauqua and Fall Fair. Special Offer: Book a 2-Night Stay using the Promo Code: CQA18 & receive Two Complimentary Chautauqua Jazz Brunch tickets for Sunday, September 16, 2018. * Rates valid September 13-16, 2018. Subject to availability. Taxes Extra. Complimentary Brunch offer subject to availability due to limited seating spots. Please indicate in the reservation notes or to reservation staff your preferred Sunday Brunch Seating Time when making a Two Night Booking. 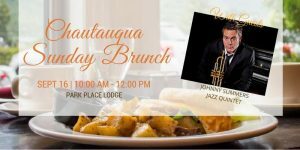 We are also proud to host a special Chautauqua Jazz Brunch on Sunday, September 16, 2018. Join the Johnny Summers Quintet for an intimate jazz brunch at the Park Place Lodge. Johnny has worked and performed with a number of award winning artists including Ellis Marsalis, Tommy Banks, and Maria Schneider. As a recording artist Johnny has toured Internationally, directs the Calgary Jazz Orchestra and is the recipient of 10 Global Music Awards, a Gospel Music Award, and numerous nominations for YYMCA, AMPIA and GMA. Sept 13/18 Update: Seats for the event are more than 50% sold so please book your tickets soon if you wish to attend. Although ticket purchases via Eventbrite have closed as of September 13/18, reservations can still be made by contacting the hotel directly at 250-423-6871. The festival is also a wonderful opportunity to showcase our Striving For Sustainability menus in both Max Restaurant and the Pub Bar & Grill which we feel compliments the “Farm to Fork” culture Chautauqua is promoting. In addition to making the majority of our menu items in house, we proudly feature regionally sourced produce from Red Hat Co-Operative Farms in Southern Alberta, high quality beef from Alberta ranchers, and Ocean Wise seafood products.